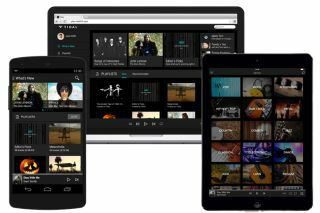 Tidal lossless music streaming service launches in UK and US | What Hi-Fi? Tidal claims to be the "first high fidelity lossless music streaming service with HD music videos and curated editorial content". And it's now live in the UK and US. Tidal offers its full 25-million strong music library in 1411kbps, 44.1kHz/16-bit, FLAC and ALAC lossless formats, compared to the maximum 320kbps you get from other services such as Spotify. In addition to the music, Tidal also offers in excess of 75,000 music videos and curated editorial articles, features and interviews written by industry experts. Major music labels such as Sony Music Entertainment, Universal Music Group and Warner Music Group have all pledged their support to the service, as well as many independent labels, in order for Tidal to offer a comprehensive catalogue for all music tastes. A free Tidal app is available for iOS and Android devices and it's also available on network players, PCs and Macs. Integration agreements have also been made with an extensive list of audio brands, including Anthem, Astell & Kern, Bluesound, NAD, Denon, Dynaudio, Linn, McIntosh, Pro-ject and Sonos, to name but a few. Andy Chen, Tidal CEO, said of the launch: “We are delighted that TIDAL has launched and that music lovers can now appreciate music the way it is meant to sound. Tidal is available now, advertisement-free, for a monthly subscription of £20/month ($20 in the US). Qobuz offers CD-quality streaming for the same price, but doesn't make the same claims regarding editorial content and videos.